Transcript of a sponsored BriefingsDirect podcast on the development of enterprise app stores and application marketplaces for ISVs to extend and modernize the applications delivery model to better serve employees, customers, and partners. Listen to the podcast. Find it on iTunes/iPod and Podcast.com. Download the transcript. Request an app marketplace demo. Sponsor: Partnerpedia. Today, we present a sponsored podcast discussion on the fast moving trends supporting the escalating demand for enterprise app stores. As enterprises and most business users have rapidly adopted smartphones and made them mission critical to their work and lives, tablets are fast on their heels as a similar major disruptor. RIM, Apple’s iOS, and Google Android devices are rapidly changing the way the world does business ... and does software. Riding along on the mobile device wave is the complimentary App Store model pioneered by Apple. The App Store is rapidly gaining admiring adopters from many quarters, thanks to its promise of reducing cost of distribution and of updates, and also of creating whole new revenue streams and even deeper user relationships. Those seeking to make application store benefits their own -- and fast, before someone else does -- come from a diverse lot. They include vendors, service providers, and communication service providers. Interestingly, though, it’s the users that have shown the way to adoption by demonstrating a comfort, a willingness, and an affinity for a self-selection process for downloadable mobile (and increasingly enterprise) applications and services. The users are really quite happy with paying for what they have on the spot, as long as that process is quick, seamless, and convenient. So the onus is now on a variety of business service providers and enterprises to come up with some answers for app stores of their own and to serve their employees, customers, and partner ecosystems in new ways. This can't be done haphazardly. The new app stores also must stand up to the rigors of business-to-business (B2B) commerce requirements, not just consumer-driven games. So to learn more about how the enterprise app store market will shape up, I'm here with a panel to delve into the market and opportunity for enterprise app stores, and to find out how they could be created quickly and efficiently to strike, as it were, while the app store iron is hot. Please join me now in welcoming our guests. We're here with Michele Pelino, a Principal Analyst at Forrester Research. Welcome, Michele. Michele Pelino: Hi, how are you? Gardner: I'm great. We are also here with Mark Sochan, the CEO of Partnerpedia. Hi, Mark. Gardner: And we're here also with Sam Liu, Vice President of Marketing at Partnerpedia. Hi there, Sam. Sam Liu: How are you doing, Dana? Gardner: I'm great. Michele, let's go to you first. This whole applications marketplace concept is something we hadn’t even thought of perhaps two or three years ago, and it's moving very rapidly. The trend is also happening across categories. Usually we can sort of slice and dice these things, but we are looking at consumer, business, enterprise, and service providers seeking app stores. Maybe you could sort of paint a picture for what's going on with business applications, now that we have seen the app store model really pick up and become attractive to consumers. Pelino: In order to provide some context around the momentum that we're seeing on the app store side of the world, it’s really important to take a step back and recognize how important mobility has become to enterprises overall, as they are interacting with their employees and their customers and their partners and providers as well. We do surveys at Forrester of enterprises in both North America and Europe to better understand those priorities and how mobility fits into overall technology initiatives. We find that three of the top priorities that are being focused on by many enterprises are related to mobility. That includes deploying new devices to their employees. It includes supporting more types of applications for not just the employees that are working outside of the office and the road warriors that we all think about when we are thinking about mobile workers, but also expanding applications for workers who are actually in the office. So this broadening of mobility includes many types of workers and applications that address not just the traditional email/calendaring applications, which are widely deployed by most companies, but is also pushing those applications down into line of business worker types of applications, which are tied to particular types of employees in an organization. Many firms are broadening the types of applications that they're deploying to their customers, partners, and suppliers, as well as to their employees. All of these applications are where we're seeing the momentum today. Ultimately, many firms are broadening the types of applications that they're deploying to their customers, partners, and suppliers, as well as to their employees, and this momentum is continuing. The other thing that’s driving some of this momentum is that individuals, not just employees, are going out and buying lots of different smartphone devices and mobile devices. You touched on that in your earlier comments around tablets, slates, and different types of smartphones that are out there. So, this momentum isn’t just happening within the corporation. It’s actually happening outside of that, and it's what we would call the consumerization of IT. This consumerization trend is also happening to drive these requirements into the organization and to really generate more momentum around applications in general as well as smartphone devices, tablets, and other types of mobile devices. Gardner: So we have the consumers, the users, very much aligned with this trend. They seem to have adapted to it rather easily. We've also seen an ecosystem of independent software vendors (ISVs) involved, where they see opportunities to create direct relationships or marketplaces and get new revenue. We've even seen some companies like Zynga and some of the other gaming corporations, taking off based on this apps model. What's the last leg on the stool? It seems to me that their will be new types of app store providers. Michele, for those organizations thinking of doing this, what do they need to consider? What's important from a B2B perspective of doing an app store? Pelino: One of the things to think about, when you are doing an app store, is to recognize that there's a lot of momentum around app stores in general and that came from the initial foray that we had seen from the device manufacturers like Apple and RIM. All the different device manufacturers have application stores tied initially to a consumer-oriented perspective. All of these things are really driving the need for these application stores -- but at an enterprise level. More and more applications are not just coming from what the IT organization wants to put out there, but also line-of-business workers within the organization are driving more and more application requirements. That’s where this momentum for application stores is coming from. It's not just coming from the IT organization, but it’s coming from line of business workers who want to have applications out there for their customers, employees, and partners. Gardner: Mark Sochan at Partnerpedia, there's a need now for an IT department or an enterprise organization to take advantage of this trend, but to do it in a way that’s amenable to them, that suits their requirements. Is this a big opportunity for IT to do something differently but perhaps even do something better than the way they have distributed software in the past? Sochan: Absolutely, Dana. Adding to some of the comments that Michele made about IT consumerization, there is no doubt that the IT group is getting pushed by the end users and organizations that have become very comfortable with how they can search, browse, try, download, and purchase applications. As a result, that has raised the expectations of how those same workers would like to be able browse, search, and download applications that could help them in their business world and with their productivity. Gardner: Michele, back to you. I know this is still early and this is a very fast-moving and dynamic marketplace, but do we have any sense of how big this is going to be? Not necessarily numbers, but do you think that most enterprises are going to want to adopt this sort of a model? Also, this all reminds me of a couple of years ago, when we talked in services oriented architecture (SOA) terms about registry and repository, making a list items of services and/or applications, and then users could pick and choose and start beginning to make processes from them. Is this something that you at Forrester expect to be pervasive or is this going to be on the fringe? Pelino: This is the beginning of a pretty key momentum driver in this area. What we're seeing now is that some of these key drivers, are coming together for large, medium, small enterprises who must figure out how to expand their applications and capabilities. What we're seeing now is that some of these key drivers are coming together for large, medium, small enterprises who must figure out how to expand their applications and capabilities. Also, as Mark said, you still have to have some control over this. You have to deal with corporate requirements around purchasing and all of the requirements internally as well. All of those factors are coming together. About 30 percent of enterprises are using application stores do deploy some of their applications at some level. Our surveys say that about 30 percent of enterprises -- that’s medium, large, as well as small enterprises -- are using app stores do deploy some of their applications at some level. It’s not that they're doing everything that way today. That’s the early stage of this, because this is an evolutionary path. It started on the consumer side and now it’s going into the enterprise. As I think about what our survey data would say going into 2011, I have a feeling that, that percentage will jump pretty dramatically. More enterprises are dealing with that pain-point of the complexity of getting these applications out there, of having to have some control over which version, monitoring them, tracking what's going on with the apps, ensuring that everybody is getting the application that they should ... or not. Those kinds of things are very important, certainly at a corporate level, and so this is driving a lot of that momentum as well, and security can't be lost in that picture either. Gardner: Sam Liu at Partnerpedia, how do we help enterprises step into this? Is there a path? Is there some methodology, or track record involved? If I were an IT manager, I am thinking, okay, I have to build, I have to buy, or I have to partner -- or some combination to get an app store up and running. If I have an app store that’s serving my employees, the chances are that I'm going to need to have one that’s going to be able to stand up to the rigors of delivering apps and services and business value out to my customer end-users as well. How does an organization like an enterprise, a vendor, or a communication service provider start the process of thinking about architecting and providing an app store? What we recommend is to start with a scoped project. Don’t try to solve all of your problems at once. Figure out what you need today and build up a roadmap for how you want to get there tomorrow. So you might want to start with the current devices, such as phones and focus on maybe internal applications or select third-party applications. Deploy a project from that and then figure out how you want to evolve that towards other devices and other platforms. [Request an app marketplace demo.]. Gardner: Mark Sochan, this isn't just about the technology of being able to serve up an application. This is also about billing, invoicing, the money trail, and then making that auditable. In certain industries, it’s a bit more of an integration issue. How do you walk into an enterprise or a vendor and help them sort through, not just the delivery of these apps, but also the management of the charge-backs and/or processing of credit cards or other means of billing? But, you also see applications that have been custom built specifically for that corporation. That is, bite-size pieces of applications and business process productivity that is specific to a person’s role in that organization. Plus, some higher-end applications are coming from some of their business partners. Because there are a variety of different sources of these applications, there are different business models that need to be addressed. The one that may be most familiar to all of us would be the ones that are the similar kinds of applications that we might find in the Apple App Store or the productivity type things, whether it’s news and information or time management or calendaring. Then, as we move to the custom-built applications or the in-house applications, it’s also important to be able to have a way to side-load those applications and make sure that those applications are available and discoverable by the people in the organization that they are relevant to. There's a whole idea of personalization that goes far beyond what we've seen on the consumer side, where basically everyone is presented a very similar experience in the enterprise side. It’s very important to personalize much further to a marketing executive, for example. That’s going to be a very different set of applications that have been pre-approved and that are relevant to that marketing executive, versus someone who is on the production floor. There's a need to have a lot of control and flexibility for the corporation to either pre-purchase those licenses and to manage those licenses effectively. Gardner: Michele Pelino with Forrester Research, I don’t know if this is a bit outside of your field, but it seems to me that that from an IT procurement perspective we have been talking about smartphones and tablets. When you think about the app store model as a way to distribute and manage applications to all devices -- including PCs -- you can start to get better efficiencies over licensing. You can really meter who gets applications and how often they're used and use that to decide what apps to keep or what to throw out. You can also have a better means of updating and adding security patches in a way that’s automated and centralized, rather than going from point to point. Do have any thoughts about the IT efficiency aspects of an app store model, if we take it beyond smartphones and tablets to the entire endpoints the users use? Pelino: That is how this could evolve over time. We've been starting on the mobile device side of the world -- smartphones and tablets, those types of devices. But, at a corporate level, there are other types of endpoints that you need to manage and deploy applications to, and you want the same kind of control. You also want to have a sense of how much you are spending. Sam mentioned, as a service type of delivery model or a per user type of delivery model, you can use different kinds of models here to keep control of the cost and have efficiencies around cost that you might not have today, because there is lots of overlap happening. Sochan: Absolutely. If you look at the core essence of an app store, there is a repository or catalog of information that makes it very easy for a company’s customers be able to find, browse, and look for products and services, not only from the vendor, but also related products and services that are of value from that vendor's ecosystem. In some cases, in a more consumer-oriented world, you may want to actually go to a transaction and actually enable purchasing. But, our enterprise customers are telling us that, equally important, if not more important, in the first steps is to have a very sophisticated lead capture engine, so that you can capture that interest that your customer has expressed, and been browsing and expressed interest in a particular product. Gardner: This is interesting. App stores in the enterprise seem to be the gift that keeps giving. We have distribution benefits, but now we are looking at some marketing and business intelligence (BI) benefit, where we can segment and provide a different façade or set of applications and services to different constituencies, know who they are, create a relationship, gather metadata about their activities, and then better serve them with the next round. Back to you, Michele. Is there a marketing and a BI benefit through the app store model that allows for an efficiency in gathering information and delivering products and services significantly better than some of the past models, where these have all been in sort of similar silos and it has been difficult to integrate and pull them together? As you have all of your customers, partners, and suppliers accessing these application stores, as well as your employees, you can then target those individuals with appropriate information. Pelino: You can imagine that now, with the capabilities that you have, you're going to be able to track and understand better what individuals are doing. Are they using certain applications? What they are doing? When they are doing it? As well as better understanding how you might be able to package and put together capabilities that might be more valuable to your customers in a manner that will be useful, in an individualized manner, not just basic bundles or combinations of services. From the BI side of this, we've only started scraping the surface, because we are in the earlier stages. But as you have all of your customers, partners, and suppliers accessing these application stores, as well as your employees, you can then target those individuals with appropriate information. Not necessarily marketing all the time, but appropriate information, if it’s for employees and partners and suppliers, and for the customers, certainly marketing and promotional activities could be tied in here as well. Gardner: It sounds very good in theory. Mark, tell us a little bit about some of the ways that this is actually being used now. I know you can’t always tell us the names of the folks you're working with, because you are an OEM supplier and they may still be in pilot in terms of their own app stores, but how are these ideas really coming into fruition? What’s really going on on the street? Some use cases for this enterprise app store concept? Sochan: What’s happening on the street is that a number of tablet vendors are seeing that having a branded app store capability around their tablets is a critical checkbox item to creating a whole product that is valuable to the enterprise. That’s the first thing that we see happening through our direct relationships with our vendors and customers. Gardner: Do you have any metrics of success? Are we too soon into this? Have you got any users that have put some of this into practice and said, "We did blank and then we got blank in return. There was a percent increase in this or a decrease in that?" Do we have any metrics that demonstrate what the payoffs from doing this are? Gardner: Before we wrap up, maybe we could step out a little bit into the future and think about some of the implications for this. It's bringing up the value of the information into making better business decisions, and that business intelligence I think should not be underestimated. Michele, how far do you think this can go? We've talked about how it could come back and affect the PCs. I am thinking that it really could change the way businesses operate in terms of their revenue, relationships with their customers, central repository and means of managing both marketing and innovation and then distribution. Pelino: If you think about the evolution of where this could head, you're starting with the central piece of the value proposition to many of these mobile devices and tablets, which is the application, and that’s absolutely critical. You're going to be proving out the value of the applications in these app stores. But, benefits that can be achieved are efficiencies around cost. You've got benefits around having all this information about your customers, your partners, your suppliers, your employees, or anybody interfacing with these application stores -- depending on how you're implementing them -- that you can now use to leverage and broaden out your relationships with them at various levels. This is absolutely critical. It's bringing up the value of the information into making better business decisions, and that business intelligence I think should not be underestimated. The other side of it is, when you think about the complexities that are facing the IT organization at a real tangible level, that’s not going to go away. As we look to the future, the complexities around these devices, around the tablets, the slates, the smartphones, the other devices that are the more traditional devices and endpoints that companies have to manage and deal with, that complexity is going to continue. When you think about where this can head, recognizing that companies are going to be looking for more efficient ways to manage that complexity, these application stores are one way to do that, and they provide a pretty cost effective way potentially, because, as Sam mentioned earlier, some of these are dealt with as a service, per user basis, per use basis, and so there is efficiencies around this that you can’t underestimate either. Gardner: You almost want to throw another acronym out there, which would be something like "business services as a service." Pelino: That’s not a bad idea. But, as you think of the future, there are a lot of opportunities to really build this out and have a critical impact on the strategic initiatives of the organization. It may not be just a tactical thing that the IT organization is implementing. It’s a very strategic potential for an organization to implement these stores. Gardner: Mark Sochan, are you talking at that executive level with some of your customers? First, maybe you ought to quickly summarize what it is that the Partnerpedia is delivering to the market and then follow on with are you selling this to IT people or to strategic thinkers who are really looking at this as a business strategy. Sochan: The core of the Partnerpedia offering is a white label, cloud-based, branded app store, that allows very efficient discovery and delivery of applications. The internal benefits for the internal facing app store is the capability for IT members to be able to pre-purchase select applications that they want their users have available to them. And also providing the capability to brand that app store so that it follows the company’s logo and it has a very consistent corporate look and feel. Gardner: Michele, are there any resources at Forrester that you could point people to, if they wanted to explore this a bit more? Are there some reports, some URLs, any place that you would suggest people go to at Forrester to learn more? Pelino: As I was talking I was referencing a few points of data from various reports that might be relevant, and you can get to those links through the Forrester site. There's one report that sets up the complexity that’s facing many organizations that I touched on very early on, called "Managing Mobile Complexity." There's another report that’s coming out very soon around mobility in the cloud. We've been talking about these delivery mechanisms, cloud-based delivery mechanisms for applications and services, especially around mobile devices and applications and services. Having these bite-size pieces of innovation lends itself to new ideas and new business models. Gardner: Mark Sochan at Partnerpedia, are there some reports, resources, white papers, ways in which people can learn more about your approach to the market and this notion of the white label in the cloud app store as a service? Sochan: We have some great white papers that people can access from our website at partnerpedia.com, that will give very useful insights into some of the best leading practices in this area. Gardner: You've been listening to a sponsored BriefingsDirect podcast discussion on the fast moving trend supporting the escalating demand for enterprise app stores. I'd like to thanks our guests, Michele Pelino, Principal Analyst at Forrester Research. Thanks, Michele. Gardner: And Mark Sochan, CEO at Partnerpedia. Thank you, Mark. 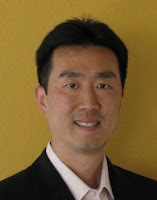 Gardner: And also Sam Liu, Vice President of Marketing at Partnerpedia. Thanks, Sam. Transcript of a sponsored BriefingsDirect podcast on the development of enterprise app stores and application marketplaces for ISVs to extend and modernize the applications delivery model to better serve employees, customers, and partners. Copyright Interarbor Solutions, LLC, 2005-2011. All rights reserved. Great podcast! Fiberlink recently had a Webinar on this same topic, covering a lot of ground on what can be done to manage the Enterprise App Store once it becomes established in a company’s IT infrastructure.